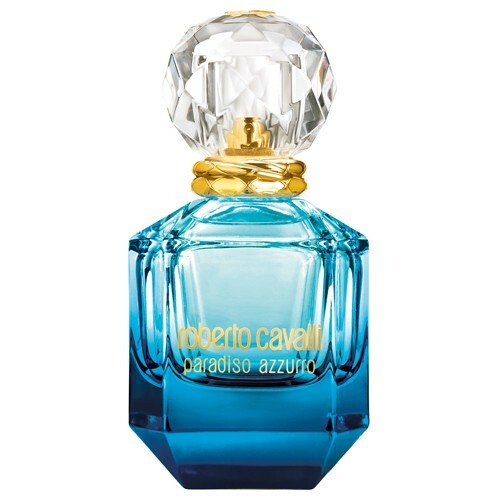 Roberto Cavalli launched Paradiso perfume in February 2015 as a carefree, vacation floral. A year later, the new version Paradiso Azzurro launches. The new edition is inspired by the images of golden light of sunrise over the azure waters of the Mediterranean Sea. The new marine composition of floral - aromatic character is created by the perfumer Louise Turner. Citrus freshness and bitterness of bergamot blend with aromatic lavender in the top. The sensual heart of wild jasmine and its tender petals is laid on the base of cypress and cashmere.